BarCamp Yerevan, Armenia’s favorite (un)conference will bring together more than 2000 IT and Media specialists on June 18-19. The informal conference will be held for the 8th time and once again will give participants an opportunity to share knowledge, skills and experience. BarCamp Yerevan 2016 will again feature in depth workshops and a job fare for IT specialists. As always BarCamp Yerevan will host international guests: Daniil Shyleiko, Marketing director of Yandex Taxi; Andrey Frolchenkov, SMM specialist; Eric Barret, the Executive Director of Jumpstart Media Company and Joanna Bronowicka, the Executive Director of Centre for Internet & Human Rights. For 3 consecutive years Ucom is the general partner and sponsor of BarCamp Yerevan. The event is also sponsored by Workfront Armenia, SFL LLC, BetConstruct, PicsArt, Synergy, Insider, Simply Technologies. Among our supporters there are AUA, Media Initiatives Center, TMS Burger. Information sponsors are Mediamax, IP marketing and Startup Armenia. Registration on www.barcamp.am is free and required for the (un)conference. Barcamp Yerevan can be found on Facebook at https://www.facebook.com/barcampevn, Twitter with the handle @barcampam, Instagram https://www.instagram.com/barcamp_yerevan/. 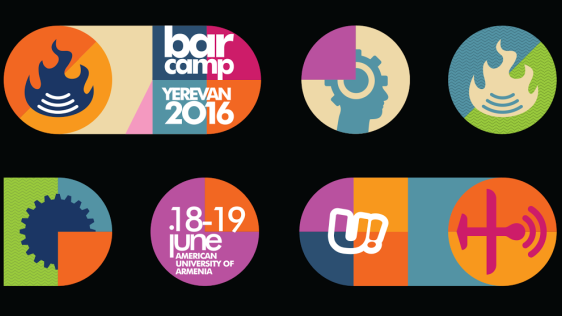 The official hashtag for this year’s BarCamp Yerevan is #barcampevn16.